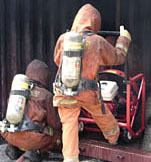 CFBT-US LLC can deliver a range of customizable training programs at your training facility. 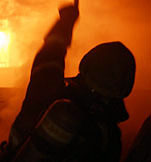 These programs integrate classroom, lab exercises, and hands-on training to build knowledge and skill in fire behavior and firefighting operations. 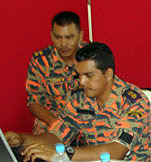 CFBT-US also offers a variety of shorter programs for conferences or seminars. See the CFBT Level I Course Information Sheet for additional details! See the CFBT Level II Course Information Sheet for additional details! See the CFBT Instructor Course Information Sheet for additional details! 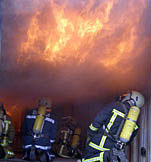 Readng the fire and predicting fire behavior is critical to firefighter safety. Reading the Fire uses the B-SAHF framework for reading the fire. Building-Smoke, Air Track, Heat, and Flame are key indicators of current fire behavior and allow prediction of fire development and potential for extreme fire behavior. Developing proficiency in this skill requies deliberate practice, this course uses photos, video, and computer simulations to help participants improve their understanding of fire behavior and skill at reading the fire with an emphasis on applying this skill in a realistic context. 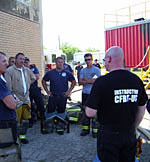 CFBT-US provides on site trainng at your facility. 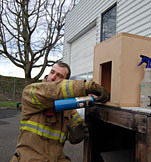 However, open enrollment CFBT courses delivered by CFBT-US instructors are available in Oregon through the Northwest Association of Fire Trainers. Seminar presentations can be condensed to fit a shorter timeframe or expanded to provide a more comprehensive examination of the topic. Contact CFBT-US for additional information on customized seminar presentations.